Your Basket has 0 items in it. The landscape is flawless, the trees majestic, the flora and the fauna are right and proper. All is picturesquely typical of rural England at its best. Sir Giles, an MP of few principles and curious tastes, plots to destroy all this by building a motorway smack through it, to line his own pocket and at the same time to dispose of his wife, the capacious Lady Maude. 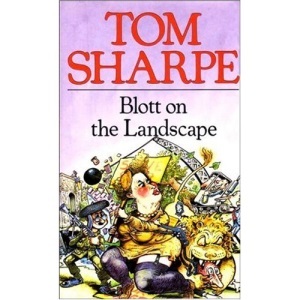 But Lady Maude enlists a surprising ally in her enigmatic gardener Blott, a naturalised Englishman in whom adopted patriotism burns bright. Lady Maude's dynamism and Blott's concealed talents enable them to meet pressure with mimicry, loaded tribunals with publicity and chilli powder, and requisition orders with wickedly spiked beer. This explosively comic novel will gladden the heart of everyone who has ever confronted a bureaucrat, and spells out in riotous detail how the forces of virtue play an exceedingly dirty game when the issue is close to home. Please login to write your own review.